In medical terms, analgesics are drugs that alleviate pain. Analgesic drugs fall into broad classifications, such as non-steroidal anti-inflammatories (NSAIDs), COX-2 inhibitors, and opiates. Any type of painkiller is associated with specific risks, and it is the responsibility of drug manufacturers and prescribing healthcare providers to make patients aware of what those risks are so that patients can make informed choices. Prescribing physicians and dispensing pharmacists have a responsibility to ensure that patients receive maximum benefit of these drugs without suffering detrimental side effects. Painkiller use is prescribed for either acute or chronic conditions. In cases of trauma, injury, or surgery, opiates or opiate derivatives are often the drugs of choice, as well as NSAIDs. In chronic conditions, such as arthritis, either COX-2 inhibitors or over the counter NSAIDs may be prescribed. For chronically painful conditions such as fibromyalgia, low back injury, or compound spinal fracture, opiate-derived analgesics are often the drug of choice when other medications fail to provide reliably effective relief. Both narcotic and non-narcotic painkiller use are associated with dangerous drug complications for the health of the people for whom they are prescribed. It is estimated that prescription painkillers such as OxyContin, Hydrocodone, and Vicodin are responsible for five times as many deaths as illegal street narcotics. Prescription painkiller abuse is on the rise, and access to prescription narcotics has created a black market of addiction that was not anticipated by the drugs’ manufacturers who continue to produce these pharmaceuticals for legitimate medical use. 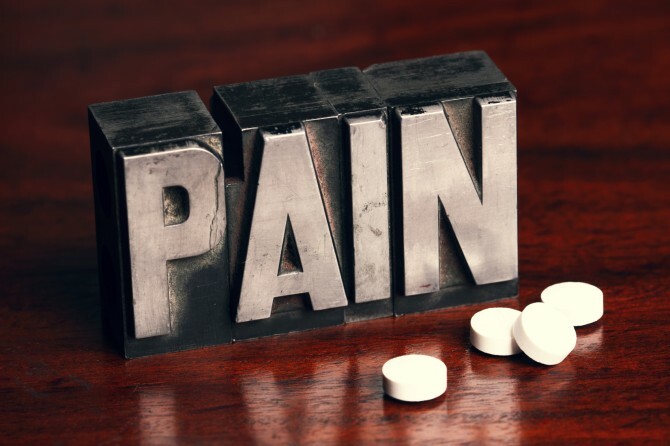 It is difficult to determine what party is responsible for the damage caused to the lives of chronic pain sufferers who are prescribed legal, FDA-approved painkillers. Cases have been presented to the courts, but the results thus far have not been unequivocal. A qualified and experienced dangerous drug lawyer who specializes in medical product liability is the best asset a person can have if their quality of life has been damaged by prescription painkiller use. Physical quality of life can be damaged by painkiller use. The drugs may alleviate chronic pain due to injury, but the physical complications associated with painkiller use, such as hypertension, appetite and weight loss, associated neurological deficiencies, hypersomnia, and digestive disorders, may objectively outweigh the benefits accrued. Financial ruin due to acquiring a ready supply of the required drug on hand while tolerance limits increases after repeated use, and associated loss of self-esteem and social reputation, are other considerations that are not documented in a person’s medical record, buy still negatively impact a victim’s quality of life. Intangible losses that cannot be tallied in monetary terms are the specialty of medical liability attorneys. Their role is to measure a client’s state of life before being subjected to a medication regimen, and then compare it to their current state after they have followed a doctor’s orders. Dangerous drug lawyers are familiar with all the issues that are involved in pharmaceutical product liability law. They review the relevant records, literature and case law to ensure their clients receive due representation and compensation for damages incurred. The physical effects of prescribed painkillers are amply documented. Selective and non-selective NSAIDs have been linked to increased incidence of liver damage, and to upper gastrointestinal bleeding that leads to metabolic disorders, anemia, and digestive dysfunction. The psychological and social detriments of opiate-based painkillers are not as thoroughly investigated in the scientific literature, but class action and individual lawsuits are being assembled and presented to the courts, based on personal and anecdotal evidence, to seek justifiable compensation for damages incurred by people who are prescribed these legal medications for their potential benefit. When the harm incurred outweighs the transitory benefits gained, legal restitution is the only remedy.